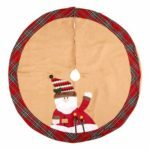 The festive vibrant color and pattern – snowman and Santa Clause, make it perfect for the Christmas decoration. 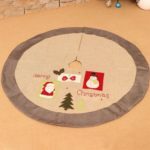 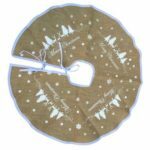 120cm in diameter, suits for most size of Christmas trees, and you can put the gifts you like on the tree skirt to add more festive feature. 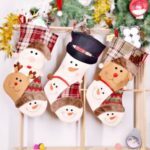 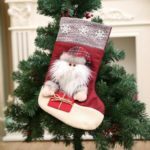 With snowman and Santa Clause patterns, which looks more vibrant and festive, perfect for Christmas decoration and make the gift on it more attracting. 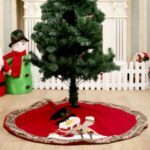 Easy to fix and lock.